Volkswagen has formally kick started the 4Motion all-wheel drive system on the Golf VII. With its arrival perfectly timed, the system is described as one of most modern and efficient all-wheel drive systems in the world. It showcases an enhanced Haldex coupling which promises to react extremely fast regardless of the conditions. 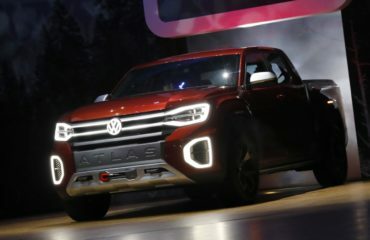 The all-wheel drive system will initially be offered with two TDI engines. The 1.6-liter TDI produces 105 HP (77 kW) and 250 Nm (184 lb-ft) of torque. It helps the model to sprint from 0-100 km/h in 11.5 seconds, hit a top speed of 187 km/h (116 mph) and average 4.5 L/100km (52.2 mpg US / 62.7 mpg UK). Similarly, the 2.0-liter TDI engine develops 150 HP (110 kW) and 320 Nm (236 lb-ft) of torque. This allows the hatchback to run from 0-100 km/h in 8.6 seconds, top at 211 km/h (131 mph) and average 4.7 L/100km (50 mpg US / 60 mpg UK). The 4Motion all-wheel drive system is currently on sale and costs an additional €1,800. Now we know that it is an all-wheel drive but we are not aware of its features and performance traits so far. So let us stay in touch and go through the pictures instead.